Now, more than 190 air routes connect Shenzhen with over 140 cities and regions around world, including more than 40 cities/ regions abroad. All the air routes are operated at Shenzhen Baoan International Airport, the only airport in this city, by more than 45 airlines. This airport is also one of the Top 100 Airports in the world. The airport is 32 kilometers away from the downtown area. This airport has 1 terminal building now with 4 floors: B1 is the metro station, 1F is the arrival hall for international passengers, 2F is the departure area and arrival hall for domestic passengers and 3F is the departure area for international passengers and waiting hall. This airport is connected to other areas of the city by Metro Line 1 and 11, airport shuttle buses and city buses. Passengers can also transfer to Hong Kong by ferry and coach. How much does it cost to fly to Shenzhen from overseas destinations? Generally, the price of an economy class ticket from Los Angeles is CNY 4,000 - 8,000, from Seattle is CNY 4,000 - 7,500, from Melbourne is CNY 2,500 - 7,500, from Frankfurt is CNY 12,000 - 30,000, from Tokyo is CNY 3,000 - 10,000 and from Singapore is CNY 1,000 - 4,500. The prices of international air tickets changes from time to time, passengers can use the search box on page top for real-time prices and prices for more routes. 1. Shenzhen is bordering Hong Kong. International passengers who want to go to Shenzhen can compare the costs of flights to these two cities and choose the cheaper one. However, you may need to pay attention to the visa policy in advance. 2. It is more likely to get special discount if you book air tickets 1-3 months in advance. 3. If you see the air tickets with the same departure time but sold at different prices, you can buy the cheaper one. They are actually on the same plane, the price difference is caused by the different pricing strategies of different airlines. 4. Passengers with fixed dates of departure and return can book round-trip tickets, because round-trip tickets usually enjoy greater discounts than one-way tickets. Hi, first you need to apply for a China visa in the Chinese Embassy and then book a flight from Dublin to Shenzhen. It seems there is no direct flight between the two cities and you may need to transfer in London or Brussels, which depends on your flight and air company. The cheapest way should be hard sleeper on overnight ride, but this takes a long time, over 30 hours. So maybe it is better to check if discount flight ticket available. You may fly to HK first and then take bus or MTR from HK to Shenzhen. I will be flying in from Newark, NJ USA. What city should I fly into to get to Shenzhen? 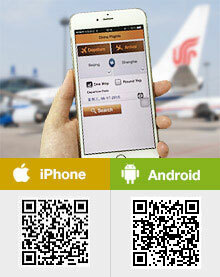 You can find a travel agency to check whether there is direct flight flying to Shenzhen City. If not, you can fly to Hongkong or Guangzhou first, then transfer to Shenzhen.